Propionum acnes (P. Acnes) bacterium produces metabolites called porphyrins. Porphyrins are sensitive to light, especially blue/violet light with a wavelength of 400 to 420 nm. The interaction of light with the porphyrins causes destruction of Propionum acnes bacterium and this results in an overall reduction of P. acnes bacterium on the skin. IPL laser is suitable for hormonal breakouts, mild to moderate acne and is especially good for patients not wanting conventional systemic treatments like the oral contraceptive pill or long term antibiotics. It is not suitable for extremely severe cystic acne which would require Roaccutane or extensive acne involving the back or chest where systemic treatments would be more suitable. You will have a skin consultation with the doctor prior to any treatment being decided on and all treatment options can be discussed at this time. Twice weekly sessions for 4 weeks is recommended. More session may be required. Maintenance session may be required every 6 weeks to three months. 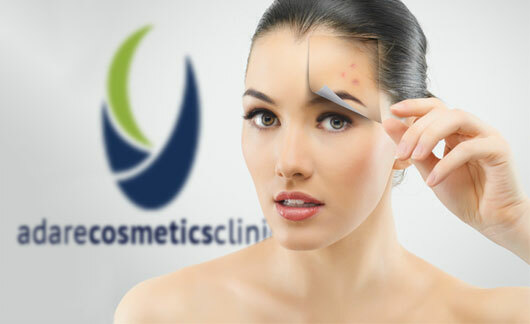 Results must be enhanced and maintained with specialised acne cosmeceuticals which are available for sale at the clinic. Full face laser treatment for acne is €100 per session. There are no side effects with IPL treatment of acne lesions. There is minimal to no discomfort. There is a big improvement in the appearance of the skin after laser treatment but the patient must be aware that the natural history of acne might be to worsen in a patient so if the skin does deteriorate other treatment options may need to be discussed either during or after IPL treatment.